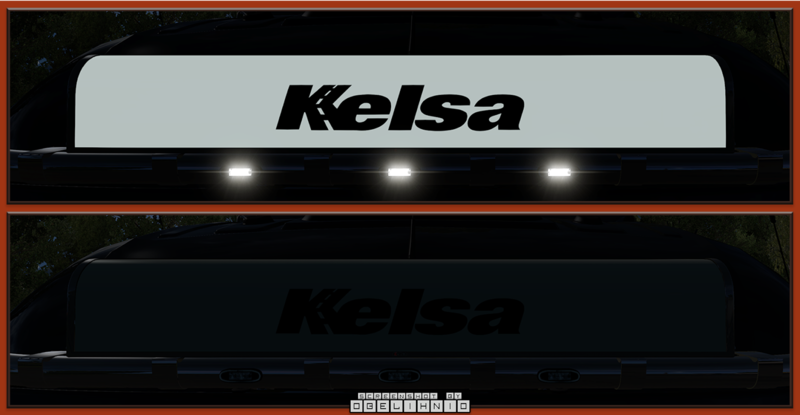 Pack of 4 Kelsa box type LED nameboards for Euro Truck Simulator 2. 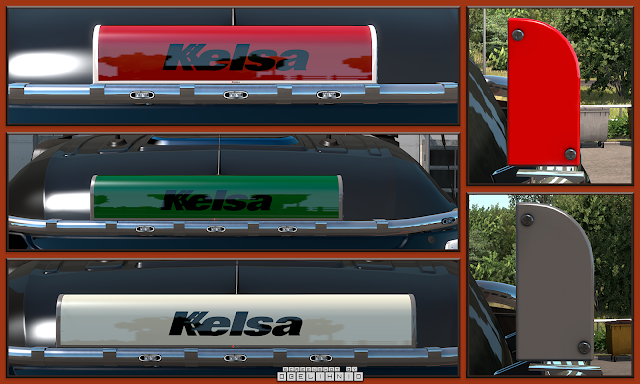 Completely standalone with customizable body paint. Important: The painted body option is NOT USING the truck colour.  Use the included template to paint the box. Place it ABOVE them mod in the mod manager! 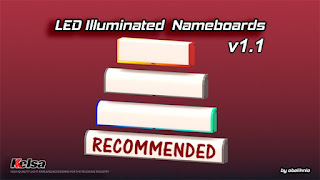 Compatible with 1.30.x - 1.33.x game version.